Broaden your knowledge of spine procedures by focusing on several key domains: recognize common degenerative spinal pathologies, complication avoidance, current controversial topics, and treatment recommendations for spinal conditions in both elective and non-elective settings. •interpret radiologic imaging (radiographs, CT, and MRI) to help diagnose and treat spinal pathologies. •formulate a diagnosis and treatment plan for degenerative spinal conditions. 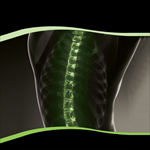 •determine factors contributing to common complications after routine spine procedures. •recognize, evaluate, and treat both adult and pediatric patients with spinal deformity.